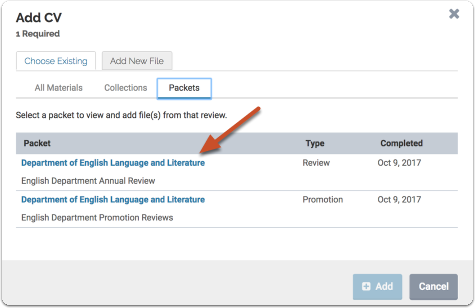 Depending on your organization's subscription to Interfolio, some review candidates can import and re-use materials from past Interfolio Review, Promotion & Tenure packets when assembling a packet for a current or upcoming review. 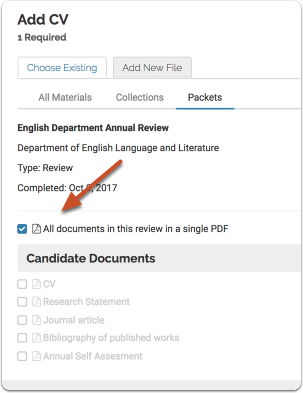 So, if you are up for an important review (like tenure, or promotion to full professor), you can easily add materials you've previously submitted for routine reviews such as annual reviews etc. This can save you hours of tedious redundant work, and also cut down on potential errors when assembling your packet. 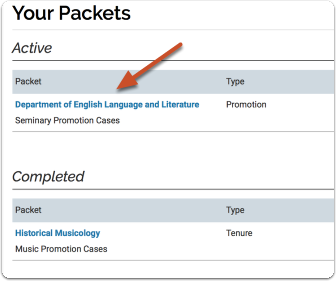 We have also added the ability for authorized institutional users to pre-populate a candidate's case with suggested materials pulled from that candidate's past cases. 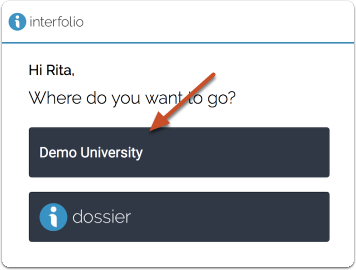 At the same time, the platform gives you, the candidate, the option to accept, edit, or remove those suggested materials. 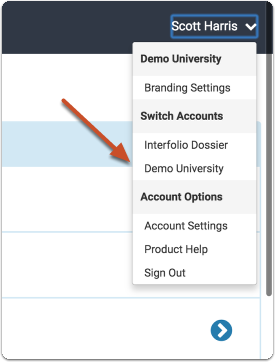 Note: This feature is currently limited to users who are provided a subscription to Interfolio by their institution through a Dossier Institution account. 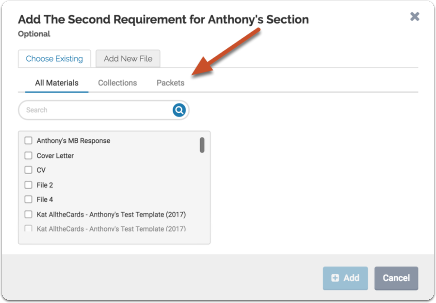 You will see a list of all packets with an indication of packet type, status, due date, or completion date. 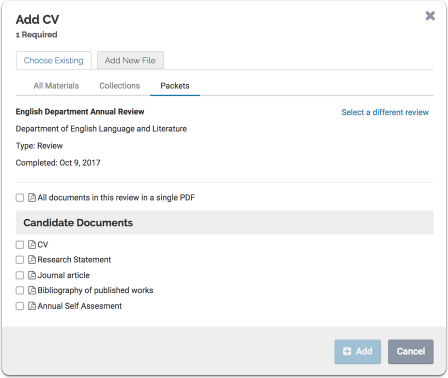 If you have previously created a packet for a review, you will have the option to add materials from previous reviews to the new packet. 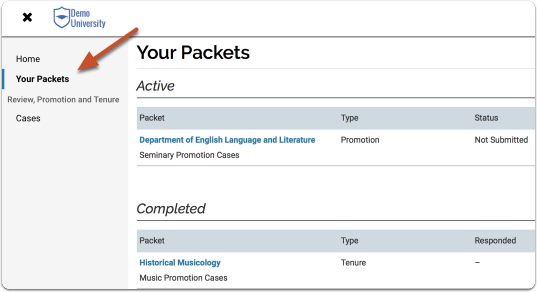 You will see a list of packets with packet type and date of completion displayed. Click the packet title to view and add files. All the materials you uploaded for the review will appear listed, as shown below.